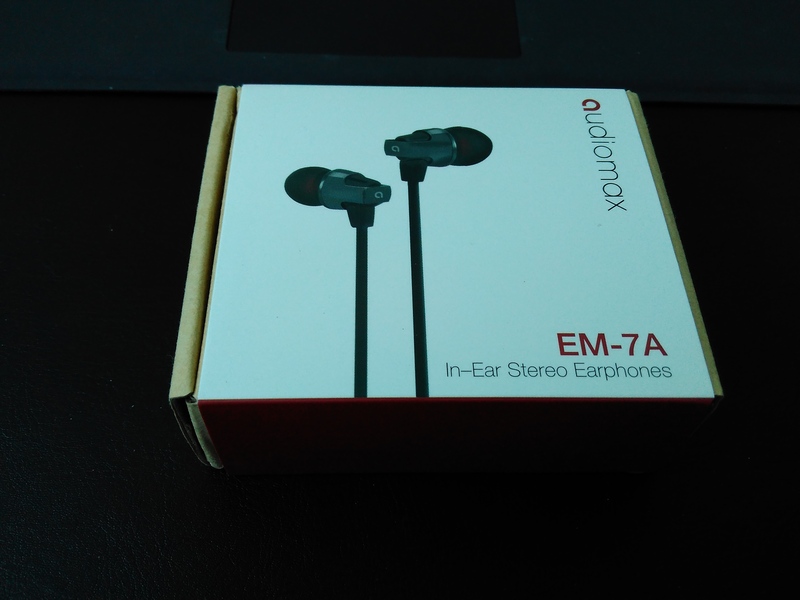 I have received the Audiomax EM-7A headphones about 2 weeks ago, so I’ve had plenty of time to use and abuse them :). 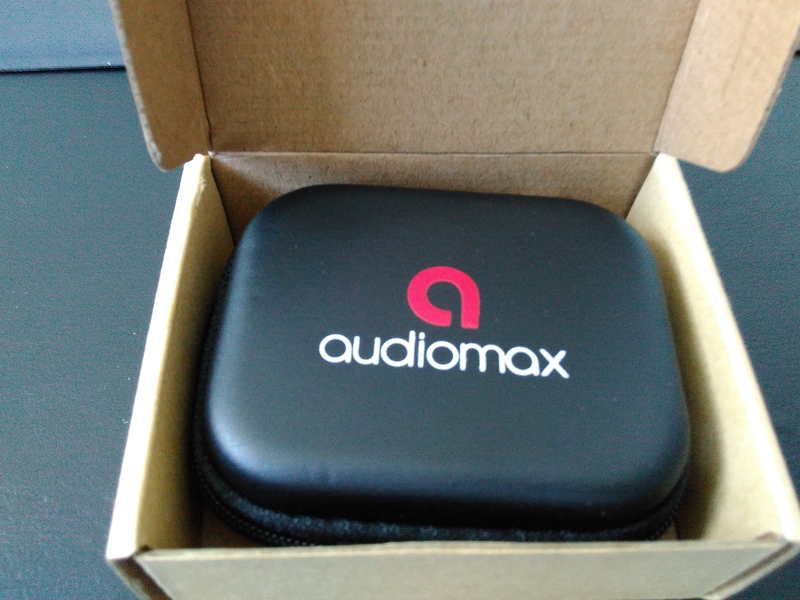 When they arrived I was pleasantly surprised about the presentation, the headphones being nicely packaged in the usual Avantek/Audiomax box made out of recycled materials. Opening the main box I found a very nice travel/carry box that houses the headphones, the instruction manual, a couple of extra ear buds (small and large) and a clip to use with the headphones. The headphones are very easy to use, just plug them in your chosen audio device and you are good to go. I first tried them with my Xiaomi Redmi 2 and have to admit, these are the best sounding £10.00 I have ever tried. The Redmi 2 does have a pretty good audio chip, but the sound from these headphones is astounding. I have tried them with my work phone, a Samsung S6 edge and the results were just as good, if not better. I even got to use the built in microphone for a couple of calls, and the sound during was clear and crisp with no distortion. These are not the most expensive headphones I ever bought, they might actually be one of the cheapest, but the design and the quality of the build and of the sound makes them a recommended buy. They look like a cross between the Beats audio headphones and the Soundmagic ones. Oh, and they are made of some sort of aluminium grade material, which means that they will last. You can check them out here, courtesy of Audiomax.